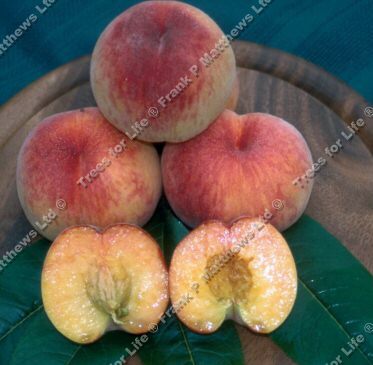 Buy Rochester peach trees for sale online FREE DELIVERY from UK suppliers of garden fruit trees. Rochester (Prunus 'Rochester') is the largest and most suitable of the yellow fleshed peach varieties for the British climate. Its flavour is excellent, with a delightful soft and juicy texture. Rochester is a regularly cropping peach. It also flowers late, therefore, avoiding most frosts. Regular watering is a pre-requisite especially in dry and warm/hot weather. Our nectarine trees are grown in the UK so they are well-suited to UK climatic conditions.